Wed., June 28, 2017, 6:14 p.m.
WASHINGTON – Kremlin leaders are convinced America is intent on regime change in Russia, a fear that is feeding rising tension and military competition between the former Cold War foes, the Pentagon’s intelligence arm has assessed. “The Kremlin is convinced the United States is laying the groundwork for regime change in Russia, a conviction further reinforced by the events in Ukraine,” the report says, referencing the claims by President Vladimir Putin’s government that the U.S. engineered the popular uprising that ousted Ukraine’s Russia-friendly president, Viktor Yanukovich, in 2014. Russia responded by annexing Ukraine’s Crimea region and supporting pro-Russian separatists in eastern Ukraine. “Moscow worries that U.S. attempts to dictate a set of acceptable international norms threatens the foundations of Kremlin power by giving license for foreign meddling in Russia’s internal affairs,” the report says. Titled “Russia Military Power,” it is the agency’s first such unclassified assessment in more than two decades. The report harkens to Cold War days when the intelligence agency published a series of “Soviet Military Power” studies that defined the contours of the superpower rivalry. Those reports ended with the 1991 demise of the Soviet Union. Now they return, says DIA’s director, Marine Lt. Gen. Vincent R. Stewart, with an eye on the future of U.S.-Russian relations. During President Barack Obama’s eight years in office, the U.S.-Russian relationship deteriorated from an initial “reset” to American allegations that Moscow meddled in the 2016 presidential election to aid Donald Trump’s victory. In between, were intense disagreements over Ukraine and Syria, where Russia has provided military help to President Bashar Assad’s government and the U.S. has backed anti-Assad rebels. While Trump’s campaign rhetoric was widely seen as sympathetic to Russia, ties have not improved in his first six months of his presidency. In April, Trump said U.S.-Russian relations “may be at an all-time low.” Trump is expected to meet Putin for the first time at an international summit in Germany next week. Thursday’s report, prepared long before Trump’s election, reflects the Pentagon’s view of the global security picture shifting after nearly two decades of heavy American focus on countering terrorism and fighting relatively small-scale wars across the Middle East. Russia, in particular, is now at the center of the national security debate in Congress, fed by political divisions over how to deal with Putin and whether his military buildup, perceived threats against NATO and alleged election interference call for a new U.S. approach. At a Senate intelligence committee hearing Wednesday, Sen. Mark Warner of Virginia, the panel’s ranking Democrat, said Russia is becoming more brazen. “Russia’s goal is to sow chaos and confusion – to fuel internal disagreements and to undermine democracies whenever possible, and to cast doubt on the democratic process wherever it exists,” Warner said. Jim Kudla, a DIA spokesman, said his agency’s report is unconnected to any recent events. It wasn’t requested by Congress. The 116-page document offers a deep assessment of every dimension of Russian military power. It contains no new disclosures of military capability but portrays Russia as methodically and successfully rebuilding an army, navy and air force that weakened after the Soviet Union collapsed. It cites the example of Moscow’s 2015 military intervention in Syria. 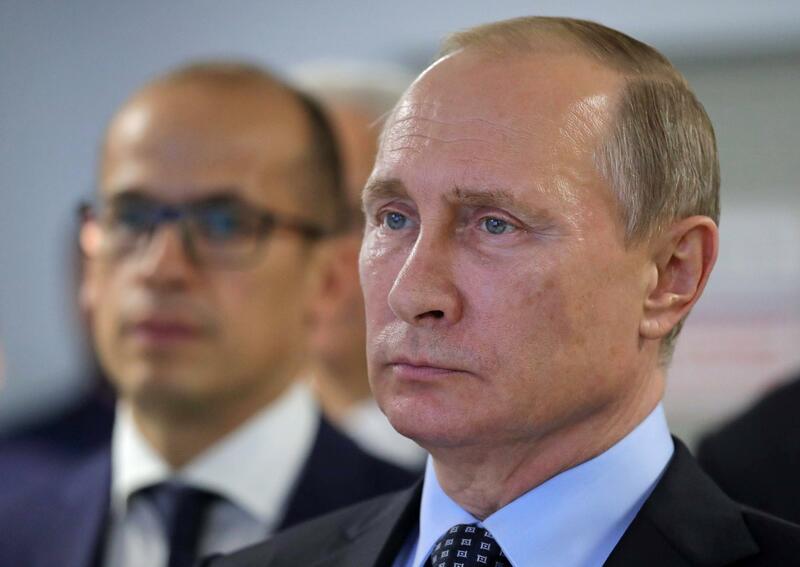 The Kremlin cast the effort as designed to combat Islamic State fighters. Washington saw Moscow largely propping up Assad by providing air support for the Syrian army’s offensive against opposition forces. The report says the Syria intervention is intended also to eliminate jihadi elements that originated on the former Soviet Union’s territory to prevent them from returning home and threatening Russia. “Nevertheless, these actions also belie a deeply entrenched sense of insecurity regarding a United States that Moscow believes is intent on undermining Russia at home and abroad,” the report says. Published: June 28, 2017, 6:14 p.m.